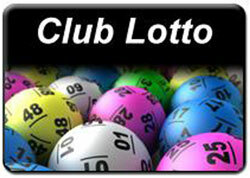 Lotto Jackpot 11,300 euro. There was no winner. Numbers drawn were 7, 18, 21, 29. No winner. Next weeks jackpot €11,400. Lucky Dip winners Charlie O'Brien, Mary Roche, Mary Mahon. Lotto Jackpot 11,100 euro. There was no winner. Numbers drawn were 4, 21, 28, 29. No winner. Next weeks jackpot €11,200. Lucky Dip winners Fionnuala Walsh, Ann Greaney, Joseph Ryan. Lotto Jackpot 11,000 euro. There was no winner. Numbers drawn were 4, 22, 29, 30. No winner. Next weeks jackpot €11,100. Lucky Dip winners Dylan & Faye Moran, John Mahon, Katrina Kavanagh.